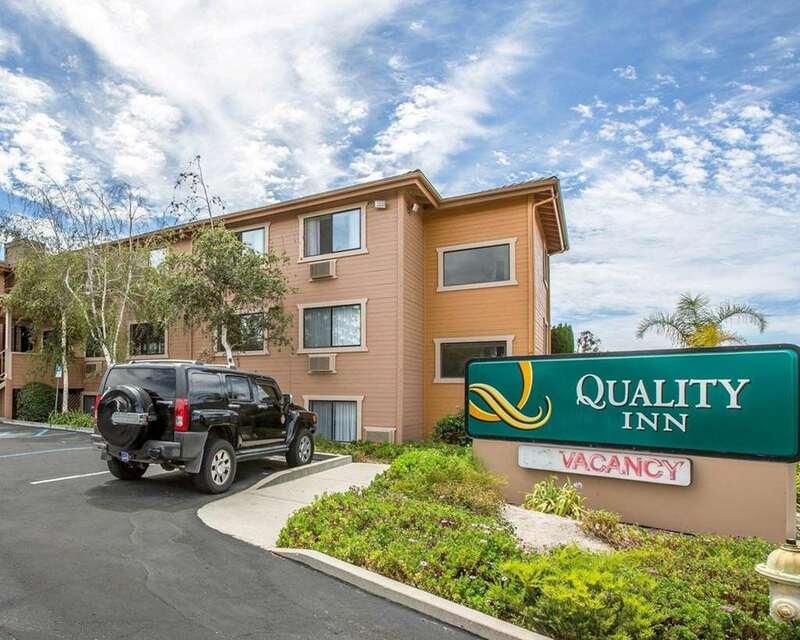 Get more for your money at the pet-friendly Quality Inn Santa Ynez Valley hotel in Buellton, CA. With easy access to Highway 101, nearby destinations include Cachuma Lake Recreation Area, Chumash Casino, La Purisima Mission State Historic Park, The Old Mission Santa Ines and Nojoqui Falls County Park. Enjoy amenities like free hot breakfast, free WiFi, guest laundry facilities, free weekday newspaper and free coffee and afternoon cookies. Guest rooms include a flat-screen TV and coffee maker. Most rooms feature a refrigerator and microwave. Also, earn rewards including free nights and gift cards with our Choice Privileges Rewards program. Pet accommodation: 25.00 USD per stay, per pet. Pet limit: 2 pets per room, maximum 100 pounds.